Complete any ensemble with these timeless hoops that have a contemporary feel. 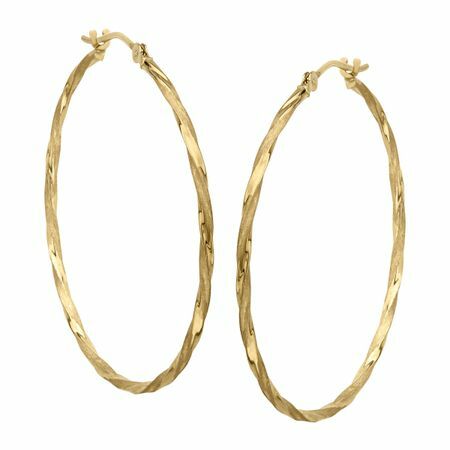 These round hoop earrings feature a classic twist design finely crafted in 14K gold. Pieces measure 1 3/8 inches in diameter.